With a title like Quality Street Music, one should expect more than a fair share of street bangers off DJ Drama's upcoming album which is slated for release next month. Enlisting the aid of Tyler, The Creator and Waka Flocka Flame, the latest offering from Drama forthcoming LP "I'ma Hata" marks the first collaboration between the two towering rap figures, both of which have openly expressed mutual respect and admiration for one another and their wish to tackle a track together. Part hater anthem, part trap anthem, "I'ma Hata" pairs Fozzie Bear's unrelenting energy with Tyler's witty wordplay and a complementary assist from Debo to create a raucous speaker shaking, riot-inducing banger. 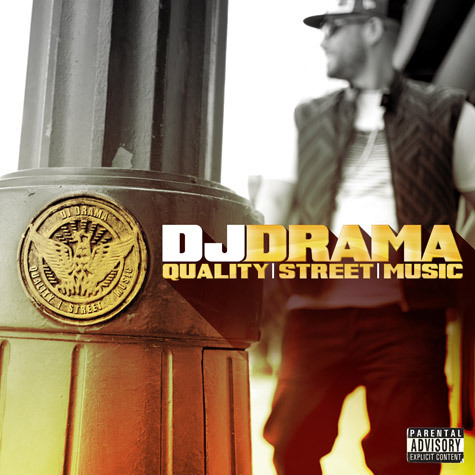 Stream the track below and look out for DJ Drama's Quality Street Music which is due out October 2 via Entertainment One and will feature an all-star lineup of guest appearances from Kendrick Lamar, Common, Rick Ross and many more. Quality Street Music is available now for pre-order on iTunes.